There are three things right up front that commend the book J. C. Ryle: Prepared to Stand Alone by Iain H. Murray to me and hopefully to you. First of all, it is a Banner of Truth publication. For decades now, Banner has been publishing outstanding books by current authors promoting historic evangelical Reformed theology. Along with that, Banner has reprinted hundreds of works by Christian authors from the past, ranging from John Calvin to John Owen to Charles Spurgeon and many others. There are more Puritan books available today than there would have been during the heyday of the Puritans, thanks to publishing houses like Banner of Truth. Add to that, their books are well bound and are beautiful additions to the library shelves in your home or office. Second, the author of this book on Ryle is Iain Murray. Mr. Murray has some incredible gifts as a writer and biographer. Often Christian biographies are in the light and fluffy category. They are written to inspire us all to do better. If the subject happened to be a significant figure in history or theological movements, academics weigh in with biographies that are often technical, critical (in multiple senses of the word), and beyond the interest level of most Christian readers. Murray hits the middle ground. He writes for the Christian who needs (desparately) to know more about Christian history or Christian leaders of the past, but who is not an expert. Murray’s first and foremost biographical study was his book The Forgotten Spurgeon. It was not, strictly speaking, a biography, but rather a study of Spurgeon’s battles against several theological trends in his life and ministry. My favorite Murray book is his two volume study of the life of D. Martyn Lloyd-Jones. The second of those volumes changed my life. His biography of Jonathan Edwards is first rate, but should be read alongside of George Marsden’s more academic biography. 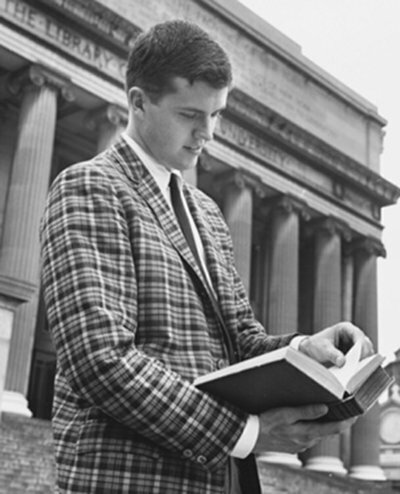 Murray has also written accounts of A. W. Pink, John Murray, and John MacArthur. A Scottish Christian Heritage and Heroes are both fun reads as well, and The Puritan Hope is a great study of both the Puritans and of eschatology (Murray is postmillennial). Looking over a list of Murray volumes thrills me with remembering his past works, but also frustrates me since I am still lacking far too many of his books. Third, the subject of this book is J. C. Ryle. Ryle was a minister in the Church of England who lived from 1816 to 1900. He was a prolific author, although he was also a very busy pastor and parish priest. Twice widowed in his earlier years, he did not have an easy life. His earlier career choice was the law, and he had suffered tremendously from economic setbacks that wrecked his father’s business. During his career, he served as parish minister in several churches. He suffered quite a few difficulties along the way, but managed to not only minister very ably to his congregation but also wrote tracts and other writings. Understand that tracts in the 1800s sometimes meant books of a hundred pages. Overall, Ryle literary output was tremendous. It is very easy to think of a Church of England parish minister in the 1800’s as having a placid, quiet life. Think of the ministers in Jane Austen’s books. 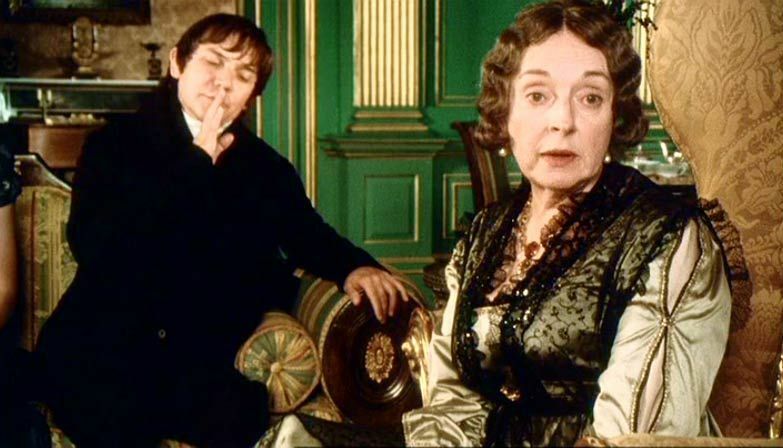 Other than their failed efforts to woo one of Austen’s heroines, they had fairly quiet country lives. That is not at all the world of J. C. Ryle. Of course, there were the beautiful old churches, quaint villages, tea with parishioners, but there were also battles. The last half of the 1800’s was a war zone for the Christian faith. Ryle’s theology, which was Biblical, enriched by the Puritans, decidedly Reformed and Calvinistic, and evangelical was under attack. The more admirable of the enemies were part of the Oxford Movement. Quite a few very scholarly and literary churchmen were gravitating (or running) back to Rome. Some made the switch, while others labored to widen the theological options available within the Church of England. Ryle, like his contemporary and fellow battler for the truth Charles H. Spurgeon, labored all his days against the unbiblical theologies, false gospels, and popular new ideas of his age. He was not a philosopher or really a theologian in the technical sense. Nor was he the debater of his age or the man who could answer the fool according to his folly. Ryle’s gift was faithful, convicting exposition of Bible passages and doctrines. His books remain valuable and can inform and convict the modern man as much or more than the original readers. 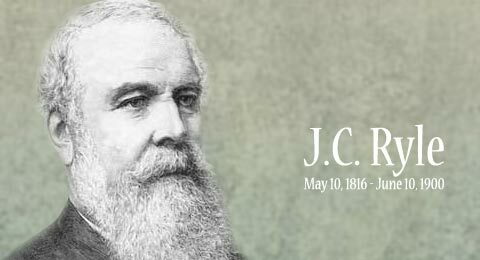 I highly, triply, recommend J. C. Ryle: Prepared to Stand Alone. However, don’t even get close to that book unless you already have read from Ryle himself. Banner of Truth has published many of Ryle’s books in fine hardback editions. You cannot make a better investment for your library AND your soul than Ryle’s classic book Holiness. But first, a warning and/or exhortation. Reading this book out right, as in from cover to cover, is not necessarily the way to go. Maybe some will disagree, but I recommend the slow read, the frequent re-read, and the careful handling of this work. Even the introduction is red meat. If you have read more modern books on spiritual disciplines and personal holiness, all such will be good primers or warm-up exercises for Ryle. Regarding the more modern guys, I highly recommend the late Jerry Bridges and the current author Kevin DeYoung. But again, Ryle is completely undiluted. So, acquire Holiness and hopefully then grow in holiness. Read it slowly. Read the chapters out of order. Pick it up and read a page or two almost anywhere. Mark or write down good quotes. Work the book over. And, I am not just speaking to you. I am speaking to myself as well. Many pastors and preachers are readers of history. If the study of theology and the Bible is their vocation, history is often their source for relaxation as well as for extra help. Stories from history support and add to sermons. History is, in some ways, an extended commentary of Biblical truths. Martyn Lloyd-Jones said, “I know of nothing next to the reading of the Scriptures themselves that has been of greater value to me in my own personal life and ministry than constant reading of the history of the church.” Along with church history, biographies are a favorite of ministers. But secular history, and I wince at that awkward term, is also useful for broadening a pastor’s perspectives, providing rich sources for sermon illustrations, and disciplining the mind. Not only do many preachers read history, quite a few have written on historical subjects. There is the field of history as a profession, involving certain academic credentials and labors, but history is not confined to the specialists. Along with journalists, novelists, and popular authors dipping into the vast river of history, preachers sometimes write histories. Along with history-reading-and-using preachers, there are also history teachers who borrow heavily from the fields of the Bible and theology. I am talking about more than a history teacher who is a church member in good standing and who reads his Bible each morning for personal spiritual growth. Some historians have dug deeply into theological matters for historical research. This is more than just the realm of church historians. Christopher Dawson was first and foremost a historian, but his historical works are shaped by his theological concerns. 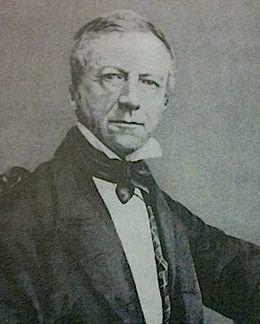 The Dutchman Groen van Prinsterer was primarily a historian, but his conversion to Christianity radically altered his understanding and writing of history. Just as some (hopefully not many) preachers preach badly, so some people do history badly. Beware of statements like “History shows” or “History proves” or “What we can learn from history is.” History provides illustrations of everything. Want to prove or buttress any argument? Look around in the huge bin of historical examples. Every cause imaginable has been put forth as to why the Roman Empire fell. Every American President or political leader can be likened to some famous or infamous Roman. Almost any era of history can be presented as a golden age or as an example of vice we should be careful not to follow. In short, history does not prove. Go to math class for proofs. This does not mean that history is without lessons or practical applications. Today (July 19, 2017), I finished reading the book Reading the Bible with the Founding Fathers by Daniel L. Dreisbach. It is published by Oxford University Press.This is one of the best books I have read this year and is one of the best studies of the Founding Era of U. S. history that I have ever read. While it is true that we should not be taken in by credentials and academic titles, professional historians are held to higher standards than the rest of us. There is much to be said for academic reputations and peer reviews. Yes, mother sometimes knows best what to do for your stomach ache, but you still go to the trained, licensed doctor for serious medical conditions. Dr. Dreisbach is both a scholarly historian and a Christian. He has filled in a large gap in the conventional story of the sources of America’s freedom and establishment as a nation. Certainly, the familiar names, such as John Locke and Montesquieu, are mentioned, but it was the Bible that provides the most quotes and references among the founders in their writings and speeches. But was this just a ploy used to appeal to a Bible-reading public? To some degree, yes, but the extensive use of Bible verses, references, and ideas in public and personal discourse indicates that the Bible was believed and adhered to as a spiritual or God-given source for political understanding. In my Humanities class this coming school year, I will be teaching The American Story. It is my favorite of the four Humanities courses, largely because I am better versed in American history and literature than the other subject areas. But even the teacher needs both refresher studies and new realizations. This book provides both. I have been exploring the connection between the Bible and American history for years. I am certain that I have read and studied at least a couple of hundred books on the topic. (Many books included the topic but were not focused on it.) If I were to provide a bibliography of ten or so books, this one would make the cut. Unless I am forgetting some other vital book, this one might very well get first place honors. If 234 pages of text were not enough to convince or challenge me, Dreisbach has an extensive section of notes with further details. This book can be used, as the title of this post states, as a devotional read for the history teacher. But this devotional will not be closed as the teacher then prepares for his or her labors in the classroom. Whether quoted extensively in lectures or just used indirectly, this book will impact the teaching of history. I received my copy of this book free for the task of reviewing it. As such, I am not obligated to speak in favorable, much less glowing, terms about it. But I am doing such because it is that good. My former pastor, Curtis C. Thomas, once described what he thought physical activities were for me. He described it as, “closing one book and opening another.” Didn’t he realize that I also had to walk to the shelves, pick out the next book, and carry it to the reading chair? Never underestimate my life of adventurous activity. Today, I will highlight a few of my current morning reads. 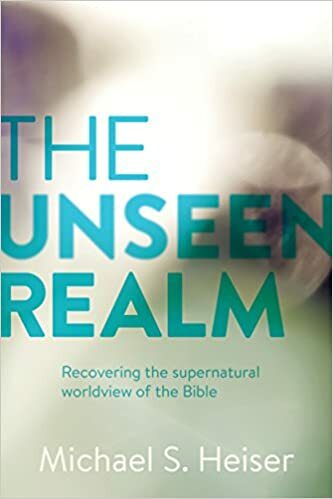 The Unseen Realm: Recovering the Supernatural Worldview of the Bible by Michael S. Heiser, published by Lexham Press, $24.99. I started this book a couple of months ago. But some of the late spring reads are halted for a time and then resumed with summer break. This is a fascinating and revealing book. One would think that Christians would not need to be prodded and jolted into reading the Bible–of all things–with a supernatural worldview. Surprise, surprise. We do need instructions on this. This is a serious study of the Scriptures and not a one-time quick read. Reading the Bible with the Founding Fathers by Daniel L. Dreisbach, published by Oxford University Press, $34.95. I am stunned every time I read from this book. Sometimes Christians with more zeal than academic skill have oversold the Christian influences in our earlier history. (I am guilty of this at times myself.) Sometimes, in an effort to offset years of Christian influences being ignored while secular and Enlightenment thought was being highlighted, history was distorted. Dreisbach is an academic scholar and Oxford University Press is not a small time Christian publisher. And it is not that he was able to ferret out a few Bible references. Instead the book is full of cases, quotes, and examples of the Bible drenching early American culture. If the main text is not enough, he has enough extra material in the endnotes to make an additional volume. I have been marveling over what all Clark did in his lifetime to promote sound, logical, and most of all, Biblical Christian thought. Falling head over heels for Clark once again in my life, I suddenly had a profound thought: I should read the big man himself. Again. 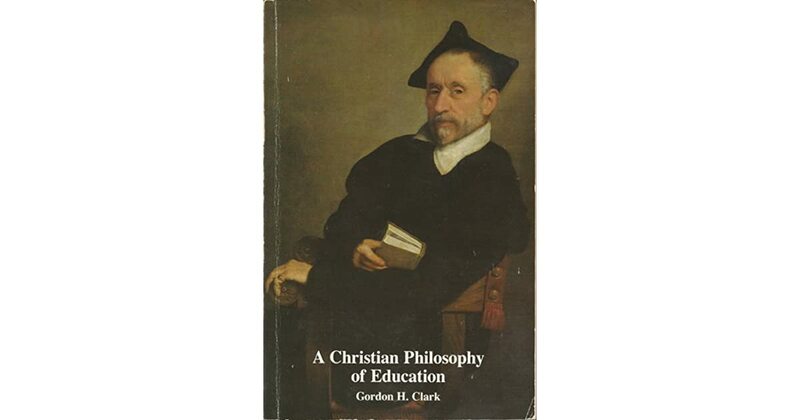 A Christian Philosophy of Education by Gordon H. Clark, published by The Trinity Foundation. So I am enjoying getting back into Clark’s book on Christian education. Christian schools or homeschooling families are found in almost every corner of the nation today, but Clark first wrote this book back in 1946. That precedes even the writings of R. J. Rushdoony on Christian education. Beyond Calvin: Essays on the Diversity of the Reformed Tradition is edited by W. Bradford Littlejohn and Jonathan Tomes and published by The Davenport Trust. I received this book a few weeks ago, but just opened it up today. It speaks to an issue of much concern to me: Calvinists are fighters. We are conditioned to contend for the Faith–and Biblically commanded to do so. We learn the debate skills, Biblical arguments, intellectual approaches, and wide range of other (usually meaning false) options. We are, as several historians have said, God’s marines. I don’t know how many times I have heard a position referred to as “THE Reformed view.” I don’t want to be accepting of any and every shade and variation of thought claiming to be Christian. But we have spent far too much intellectual and spiritual energy fighting one another. Count me in, guys. I am looking forward to getting farther in to this collection. Watching television and movies keeps you from reading books. Reading novels keeps you from reading serious non-fiction. Non-fiction keeps you from reading theology. Theology keeps you from reading the Bible. Watching plays and reading dramas keep you from reading poetry. Shorter poems keep you from reading epic poems. Epic poems keep you from reading Plato and Aristotle. Reading Plato and Aristotle keep you from reading….fill in the blank. We are finite and busy and slow at reading, so whatever we are doing is keeping us from doing something equally good or better. We are not only finite and limited, but we are all artistically inclined. We are all users, admirers, and developers of art and artistic creations. Some of the arts we deal with are such things as the finely finished report, the good meal, the freshly mown lawn, the washed and ironed clothes, the long studied and delivered lecture or sermon, or the pleasing hummed tune. God looked on creation and said, “It is good.” Even when our own creations are mediocre or even bad, we have the built-in apparatus to look on what we have done and say the same. God has wired us to see art (connect that word to artisan and craftsman and not just painters) and order. God has also wired us to comprehend, interpret, and think about art. The wrestling fan who says, “Boy, that was a good fight,” is interpreting an art exhibit in a fashion similar to the art critic who comments upon Rembrandt’s use of shadows. We can not do all the things we want and need to do. And what we actually do is a series of artistic efforts and interpretations. But let’s slow up a bit here and focus upon just a couple of things: Science fiction, science fiction movies and television, and C. S. Lewis. Here too is a door to a universe more wonderful and vast than we have imagined. I say that as one who would not prefer science fiction or fantasy (which are two different genres) in books or movies. But I am a C. S. Lewis fan. On the one hand, I have done quite well in collecting most, but not all, of Lewis’ books, but then comes the books written about Lewis, including biographies, but more than just that. Lewis was a wide-ranging and first class thinker whose ideas–including theological and philosophical as well as literary ideas–have impacted a wide range of disciplines. Great statement. While there is “nothing wrong” with just sitting back and enjoying a movie, it is just not possible. Every film, like ever book or song, is presenting some sort of vision of reality or of ultimate things or of moral truths. This is why we in the Christian school business have to keep honing in on the idea of worldview thinking. The first chapter of the book is titled “Finding C. S. Lewis in Science Fiction Film and Television.” The hook for me, however, is that this essay is written by co-editor Mark Boone. Dr. Boone is part of an expanding universe of Christian thinkers who are carving niches in every area of academic life. God is doing an intellectual Reformation in our age, whether the greater body of believers and the vast masses of unbelievers see it or not. 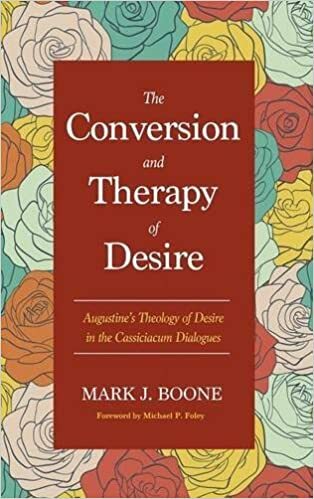 Boone’s first book is a study of Augustine, titled The Conversion and Therapy of Desire: Augustine’s Theology of Desire in the Cassiciacum Dialogues. When I was studying this book last summer, I concluded two things: First, this is a first rate study that is not a fast read, and second, Mark Boone is serious. Serious, however, does not mean grave, somber, and solemn with no application to folks that don’t dwell in safe academic zones. (The hidden humor of that remark is that Boone spent the last year teaching somewhere in the Middle East.) So, this book appeals to a broader crowd that still wants to think. In this case, it involves a cross discipline jaunt: C. S. Lewis’ short book The Abolition of Man and science fiction films. Lewis’ little classic could be used in a number of courses and discussions, including education, literature, history, ethics, current culture, pop culture, and, of course, science fiction. The case is made stronger by the fact that Lewis wrote some science fiction, his Space Trilogy. My biggest hindrance was lack of knowledge of most of the films. I was familiar with one show, Person of Interest. Artur Skweres wrote the essay titled “Between the Good and the Evil Samaritan: Person of Interest in Light of C. S. Lewis’s The Abolition of Man.” I love that show and read the essay twice, but I don’t agree with it. That is okay in a book of thought provoking essays. I did realize that I was watching the show way too passively and have tried to be more alert to the deeper messages. Skweres concerns about the workings of Mr. Finch and Mr. Reese may be right on target, and I may be wrong. That is what is fun about these discussions. Several chapters in the book are about the ever popular television series and subsequent films known as Star Trek. Never watched either! But I could benefit from sitting through a few hours of both so that upon rereading, the essays resonate with me. Many of the films discussed are older. As Brian Godawa points out, they are nearly all accessible now. The issues, the ethical dilemmas and worldview confrontations, are old as well, and yet they are all throughly relevant and on the cutting edge. Don’t try to read this book through from cover to cover (as I did–with a long break between the halves of the book). Read the foreward and first chapter. Then read any chapters that pertain to movies you know. Then use the other chapters to locate movies and read the chapters both before and after the film viewings. With a group of interested folks–whether students in a class or a reading group–this could be a really fun book.